If you’ve been preparing a New Year’s resolution list and need a little push, there are many sites that can easily inspire and excite you. There are also numerous inspirational blogs that you can take a look at, from hilarious blogs like The Chive Top 8 Websites To Find The Most Priceless & Viral Images Top 8 Websites To Find The Most Priceless & Viral Images The Internet is full of entertainment, but if you're looking for more amusing 'lol' images or other priceless goodies, be ready to unleash your inner procrastinator and check out the following list of websites. They’re... Read More to actual quote encyclopedias 10 Websites For A Daily Fix Of Sayings & Quotations 10 Websites For A Daily Fix Of Sayings & Quotations Read More , such as [NO LONGER WORKS] Quote Stumbler, which lets you stumble upon a random quote every time you visit the page. There are even social networks where you can discover and share countless quotes that catch your attention. There are also many RSS feeds Top 8 RSS Feeds For Motivational Quotes of the Day Top 8 RSS Feeds For Motivational Quotes of the Day Read More you can subscribe to for daily inspiration. I think you get the idea that there may be unique sources of inspiration for different people. Sometimes, you may find them not just in quotes, but also images and videos. Here are a few select media items that might just give you a bit of the directional boost that you’re looking for. Have your list of resolutions? 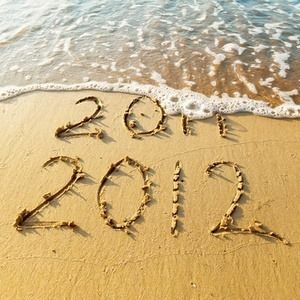 This simple photo might help you face the potential obstacles coming your way in 2012. This is an epic commercial, featuring basketball player Matt Scott from the University of Wisconsin – Whitewater, giving a glimpse of the excuses that might set us back when trying to reach your goals. This was originally featured in a post from the ever-popular The Chive, which occasionally throws in inspirational quotes and images. This inspiring story about a high school basketball team manager with autism shows that a lot of passion can help you overcome obstacles, achieve the unimaginable and lead you farther than you think. How far, you ask? I don’t want to spoil the video for you, but let’s just say Jason was able to meet the President of the United States after his story went on the news. Passion is definitely key to keeping you motivated in order to complete a task in your New Year’s Resolutions. If one of your resolutions includes to exercise more in an effort to become healthier, here’s a cool video that shows you can become a more active person at any time. You don’t need the latest equipment or a personal trainer.The key is to stick to a routine. Watch the following video as the interviewee reveals his age and shows off the body of a 20-year old. If what you want is to find quotes or inspiring items specific to a theme, we have gathered some excellent sources of inspiration for all types of niches, including creative writers 4 Great & Inspiring Sites For Creative Writers To Visit 4 Great & Inspiring Sites For Creative Writers To Visit Read More , entrepreneurs and business owners 10 Awesome & Inspiring Blogs for Entrepreneurs and Business Owners 10 Awesome & Inspiring Blogs for Entrepreneurs and Business Owners Read More , parents 6 Inspiring & Funny Blogs You Should Read If You Are A Parent 6 Inspiring & Funny Blogs You Should Read If You Are A Parent Read More , and even hackers. If perhaps you’re seeking advice to help you accomplish the tasks on your New Year’s Resolutions, here are six useful 10 Online Tools to Help You Keep Your New Year Resolutions 10 Online Tools to Help You Keep Your New Year Resolutions Technology has made new year resolutions more doable and more fun. Let's look at the top 10 most common resolutions and the tools to pursue them. Read More online tools Best Tools to Help You With the Top 10 New Year's Resolutions Best Tools to Help You With the Top 10 New Year's Resolutions Read More , and another six websites. If you haven’t completed your list of resolutions, here are some more tips on finding manageable and worthy tasks, and here How To Use Mind-Mapping Software To Organize Your New Year Resolutions How To Use Mind-Mapping Software To Organize Your New Year Resolutions Read More is a simple but effective way to organize those tasks so you’ll have a nice way to visualize your goals for 2012. How are you keeping yourself motivated to complete your New Year’s Resolutions? Let us know in the comments! That's a really nice story! Thanks for the suggestion! Wow, that Jason McElwain story, I just love it. Another Rudy story. Another Messi story as well! I read on his Facebook page that he was told he was too short to play soccer. It's amazing how far a mix of determination and hard work can take you. That Henry Ford quote just blew my mind. Holy moly.